You could say it was Kitchens' first "press conference" as head coach of the team. 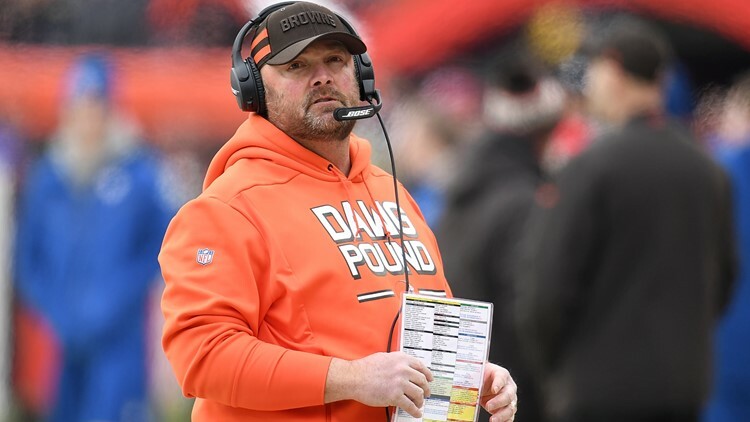 The Browns on Saturday officially announced what we had all known for days: That Freddie Kitchens will take over as the team's 17th full-time head coach. The running backs coach-turned-offensive coordinator signed his contract three days after his hire was first reported by ESPN's Chris Mortensen. The team posted a photo of the signing on its Twitter page. Also posted was a video of Freddie, one of him introducing himself to the Cleveland faithful. "Dawg Pound," he quips. "You remember when I said, 'I've never been offered a head coaching job'? That's changed! I'm you're new head coach, Freddie Kitchens. Let's roll." You could say it was Kitchens' first "press conference" as head coach of the team. However, the organization will still hold a formal introduction Monday at noon.